Money makes the world go round – being broke could make you feel helpless and you might even be hopeless if you are also struggling with bad credit. However, you can start taking proactive steps today to reduce the probability that you’ll fall to financial ruin. The Internet is littered with thousands of blog posts providing personal finance advice; yet, millions of people are still struggling with their finances. 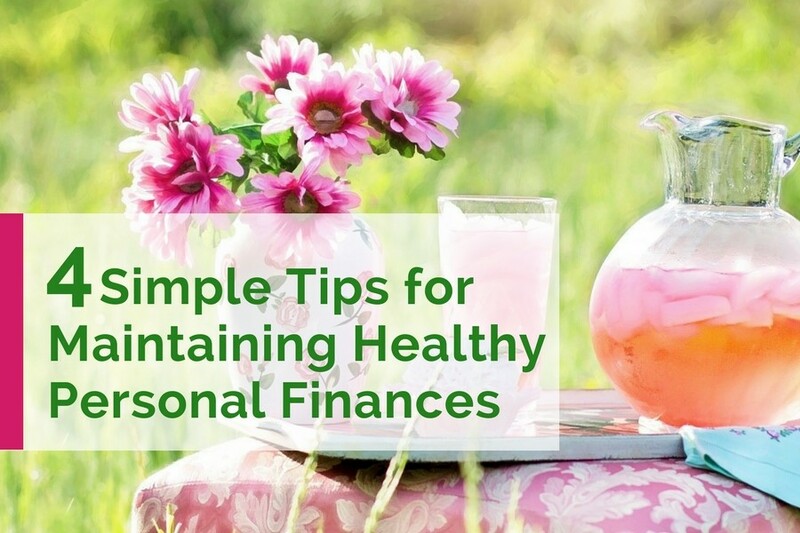 This post provides actionable insight into four simple tips for maintaining healthy personal finances. The advice to spend less than you earn sounds cliché but the fact remains that your finances won’t be healthy until your income is more than your expenses. The size of your paycheck should ideally not be the determining factor on your spending decisions. You might be earning a six-figure income and your finances will still be in shambles if you spend more than you earn. You should know how to calculate your paycheck so that you can know how much money you actually have in disposable income. Many people often plan their budget with the amount of their gross income without accounting for net expenses such as taxes, insurance, and social security deductions among others. Once you know how much you earn in actual disposable income, you can start pruning your expenses so that you can have a little extra left each month. 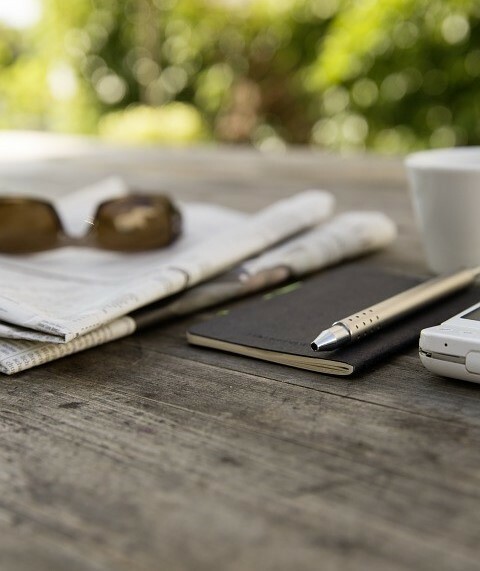 Many people know that their finances will be in better shape if they start budgeting – yet, building the willpower to create and stick to a budget doesn’t come easy. At the initial point of creating a budget, you might feel that the budget is restrictive and that it is not giving you the “freedom” to spend your money as you please. However, spending money without a plan or budget will most likely trap you in a financial vicious cycle in which you are living from paycheck to paycheck. You may want to consider budgeting with envelopes – you’ll allocate money for each item on your budget and you’ll put the money in different envelops. You take the money from the envelopes to meet those needs and you’ll have visual cues to know if the money will last you until the next payday. 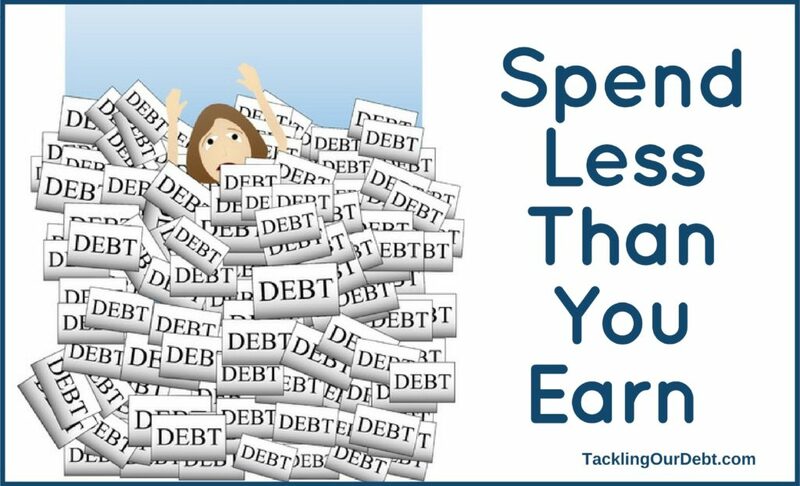 I have already mentioned the need to spend more than you earn and pruning your expenses. However, there’s a limit to how much of your expenses you can cut/prune if you don’t want to reduce your standard of living drastically. Making smart investments would make your money work for you and open the doors to multiple streams of income. If you have multiple streams of income, you’ll have a larger disposable income and you’ll be able to live a more comfortable lifestyle without accumulating unnecessary consumer debt. You should consider contributing to an interest-yielding savings account. You can also meet with a licensed financial adviser to find out opportunities for investing in stocks, bonds, ETFs, and Treasury bills among others. If you prefer a more hands-on approach, you should consider investing in real estate, precious metals, private equity, or starting a business. You can dot all the ‘I’s and cross the ‘T’s in the personal finance rulebook and still end up in financial trouble when life throws the lemons that it inevitably throws at us all. The economy might crash and employers will be forced to lay off workers or ask workers to take massive pay cuts. An accident, illness, or death could also alter the financial balance of a home. However, insurance policies can help you reduce your risks or help you get on your feet at a much faster pace in the event of unexpected events. You should consider having life insurance, medical insurance, disability insurance, and employment insurance, based on your own personal finances and the risks you may encounter throughout your life. NextIs a Cosigner a Good Way to Reduce Your Auto Loan Payments?